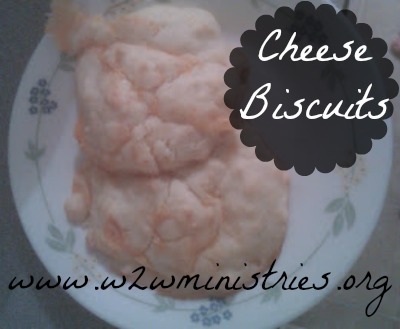 Cheese biscuits...who doesn't like cheese and bread, these are just like the biscuits red lobster has and they taste just as good too! 1) Measure out the bisquick and butter into a mixing bowl. You will have to mix and mash the butter into the bisquick - I DO NOT have the patience for this part so my husband did it. It's ok if the mix has lumps in it, the butter melts and as a result some flaky goodness comes out of the oven! 2) After the butter is mixed in, measure in the cheese, garlic, and milk then stir, you don't have to stir too much just till it's all moist. This was a super easy recipe and the biscuits were so good! I got the idea from surfing Pinterest one night. I hope you enjoy them as much as we did! These make roughly 12-15 biscuits. Today's recipe is a repost.